Asiad Steels is one of the known manufacturers and suppliers of Alloy 20 Bolts, which combines excellent corrosion resistance with elevated mechanical properties and relatively easy fabrication. Applications of Alloy 20 Hex Bolts are limited to a maximum temperature of 1000°F per ASME. Alloy 20 Heavy Hex Bolts is often chosen to solve SCC problems, which may occur with 316L stainless. Alloy 20 Square Bolts was designed for maximum resistance to acid attack and demonstrates superior resistance to stress-corrosion cracking in boiling 20% to 40% sulfuric acid. Alloy 20 Round Head Bolts also has excellent general corrosion resistance to sulfuric acid and to chloride stress corrosion cracking. Alloy 20 Hex Screws can be used for a wide variety of applications including: control valves, pressure relief valves, and centrifugal pumps. Minimal carbide precipitation during welding & excellent mechanical properties and fabricability are excellent design features in Alloy 20 Hex Cap Screws. Resistance to sulfuric acid is particularly exceptional but Alloy 20 Machined Screws shows useful resistance in phosphoric acid, nitric acid as well as in chloride environments. With good general corrosion properties, Alloy 20 Socket Cap Screws usage has expanded in chemical, petrochemical and power generation plants. Our expertise in global logistics enables us to source Alloy 20 Allen Cap Screws from anywhere in the world in a matter of days and provide fast shipping solutions to all our customers, whichever country they are in. Alloy 20 Countersunk Slotted Screwshas excellent resistance to general corrosion, pitting, and crevice corrosion in chemicals containing chlorides and sulfuric, phosphoric, and nitric acids. 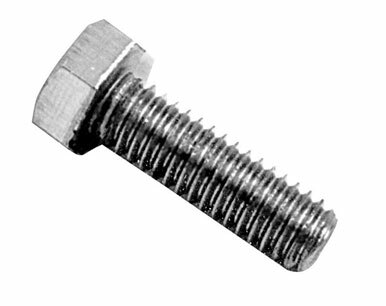 Buy Carpenter 20 Bolts at reasonable rates from us. 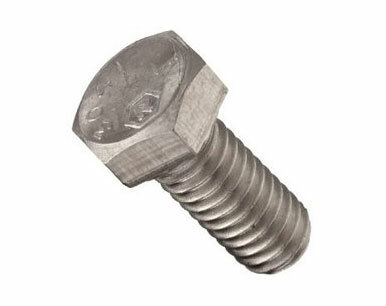 We are Exporter of Alloy 20 Bolts in Worldwide Such as India, Chile, South Africa, Italy, Bhutan, Yemen, Gambia, Belarus, Argentina, Serbia, Nigeria, Libya, Colombia, United Arab Emirates, Greece, Canada, Indonesia, Kenya, Hong Kong, Namibia, Switzerland, United Kingdom, Peru, Czech Republic, Jordan, Chile, Bolivia, Poland, Ecuador, Venezuela, Germany, Iran, Portugal, Slovakia, Sri Lanka, Gabon, Kazakhstan, Austria, Nepal, Azerbaijan, Morocco, Croatia, China, Ukraine, New Zealand, Oman, Turkey, Saudi Arabia, Hungary, Puerto Rico, Mexico, Belgium, Taiwan, Angola, Spain, Thailand, Nigeria, Mongolia, Bahrain, Mexico, Tibet, France, Ghana, Kuwait, Finland, Macau, Pakistan, India, Russia, South Korea, Israel, Estonia, Iraq, Costa Rica, Japan, Denmark, Bangladesh, Afghanistan, Vietnam, Romania, Singapore, Iran, Egypt, Australia, Malaysia, Zimbabwe, Philippines, Norway, Bulgaria, Poland, United States, Sweden, Brazil, Lithuania, Lebanon, Ireland, Algeria, Qatar, Trinidad & Tobago,Tunisia, Netherlands. We are Suppliers of Alloy 20 Bolt in India Such as Mumbai, Kanpur, Pune, Ulsan, New Delhi, Faridabad, Ho Chi Minh City, Vadodara, Noida, Dammam, Pimpri-Chinchwad, Santiago, Jamshedpur, Gurgaon, Karachi, Coimbatore, Lagos, Manama, Colombo, Bogota, Navi Mumbai, Abu Dhabi, Caracas, Edmonton, Muscat, Courbevoie, Hanoi, Ranchi, Granada, Hyderabad, Nashik, Al Khobar, Nagpur, Los Angeles, Jeddah, Al Jubail, Haryana, Petaling Jaya, Tehran, Kuwait City, Vung Tau, Sydney, Cairo, Visakhapatnam, Surat, Ankara, Indore, Bangkok, Gimhae-si, Toronto, London, Mexico City, Jaipur, Montreal, Jakarta, Busan, Melbourne, Doha, Dallas, Kuala Lumpur, Howrah, Mumbai, New York, Kolkata, Milan, Chandigarh, Chennai, Chiyoda, Secunderabad, Houston, Ludhiana, Ernakulam, Sharjah, Bengaluru, Aberdeen, Thiruvananthapuram, Ahmedabad, Bhopal, Dubai, Rio de Janeiro, Baroda, Istanbul, Rajkot, Riyadh, Brisbane, Atyrau, Ahvaz, Geoje-si, Port-of-Spain, Thane, Lahore, Perth, Singapore, Hong Kong, Seoul, Algiers, Madrid, Calgary, La Victoria, Moscow.